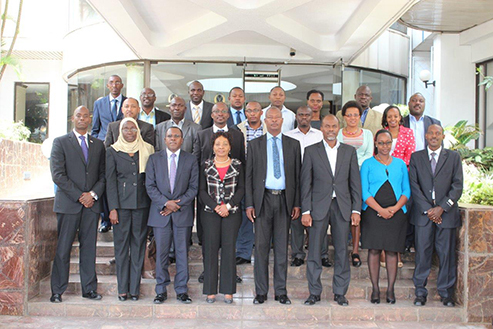 Capital Markets acting Chief Executive Mr. Paul Muthaura (back row, 5th from left) during a board meeting of the International Organization of Securities Commissions held in Seoul, South Korea from 11 to 13 February, 2015. Mr. Muthaura also seats on the Growth and Emerging Markets Steering Committee (GEMC) which is charged with representing the interests of more than 75 percent of the membership of IOSCO covering the spectrum of the most developed emerging markets including the BRICS to frontier and nascent capital markets. Mr. Muthaura was elected to join the Board in September 2014. 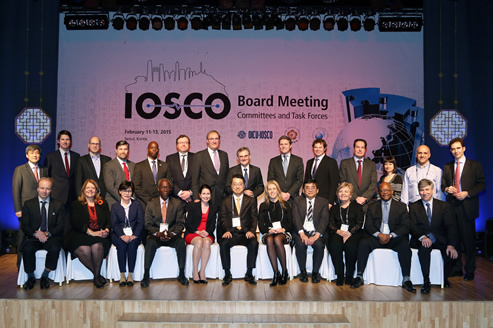 IOSCO Board Meetings, Seoul, 11-13 February 2015. The Ag. Chief Executive of Capital Markets Authority Mr. Paul Muthaura presents a cheque to Ms. Asiya Kanji, the grand prize winner ,during the Grand Finale ceremony of the Capital Markets National Trivia at CMA offices on December 2nd, 2014. 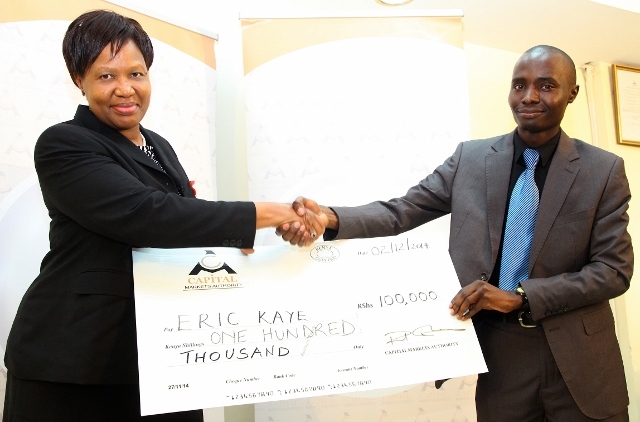 Capital Markets Authority Board Director, Ms. Rose Detho presents a cheque to Mr. Erick Kaye Omondi, the first runners up, during the Grand Finale ceremony of the Capital Markets National Trivia at CMA offices on December 2nd, 2014.